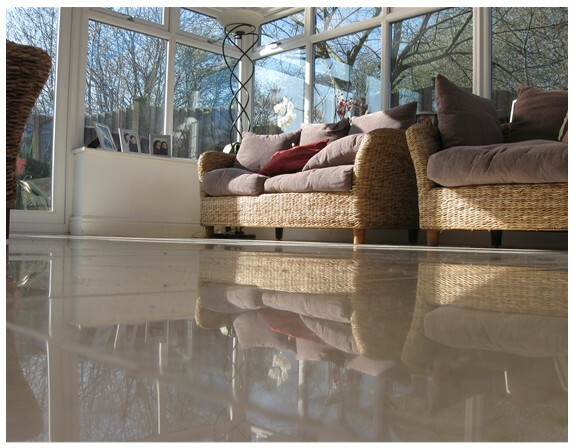 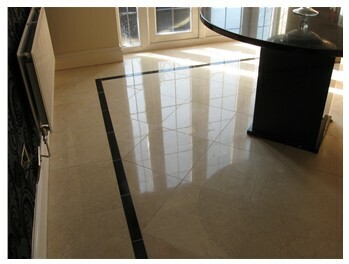 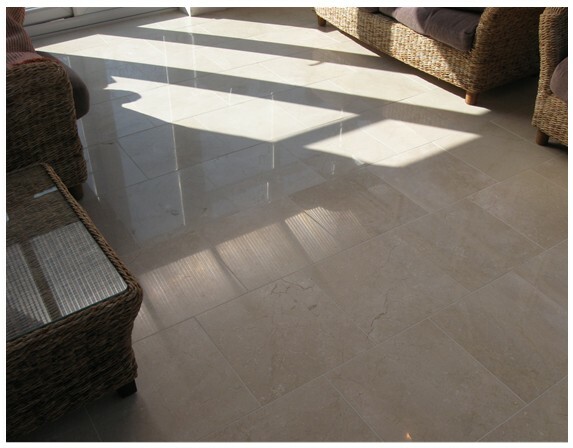 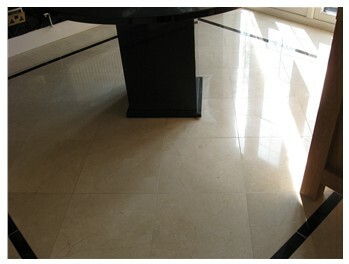 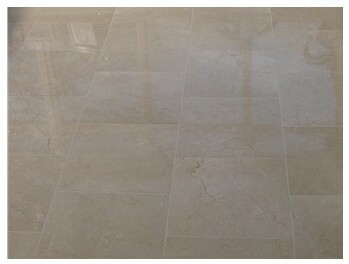 The crema marfil floors throughout the house had lost all of there shine, a section due to an extention to the conservatory had been put down and the wrong grout colour had been used. 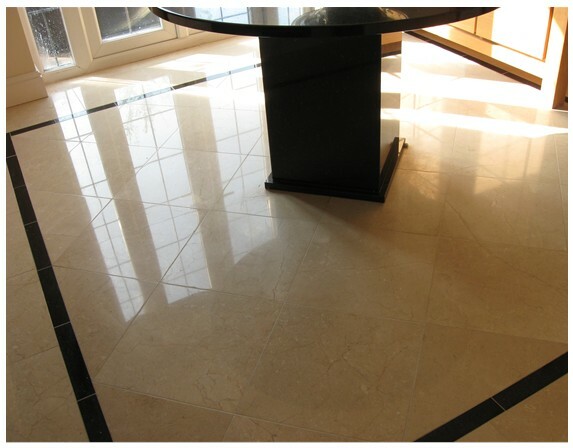 We chemically cleaned the tiles and grout lines, we diamond polished the marble tiles to a lovely high shine, we remove the old grout in the conservatory where the wrong colour grout had been used and regrouted. 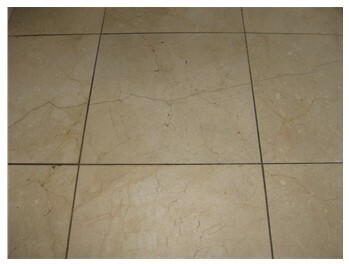 The results where wonderful.